Earlier tonight, the PHS Dragonettes varsity basketball team welcomed the Gilmer Lady Cats to the Dragons Den for their 2nd overall meeting of the season, and the 1st region meeting of the season. The Nettes’, came into the game winners of 3 straight, & 2-1 in region play. The Lady Cats, came in an impressive 8-1 on the early season & also 2-1 in 6-AAAA. In the 1st, the Nettes’, came out hot on a cold evening. Junior Mykenzie Weaver, scored the 1st 7 points for Pickens, & the Nettes held a 10 point advantage at one point. After one, Pickens led the Lady Cats, 16-8. In the 2nd quarter, the defense for Gilmer got them into it. The Lady Cats, went on an 18-9 quarter run, to take a 26-25 lead over Pickens, going to the break. In the 3rd, both teams remained close as you would expect in a heated rivalry game. 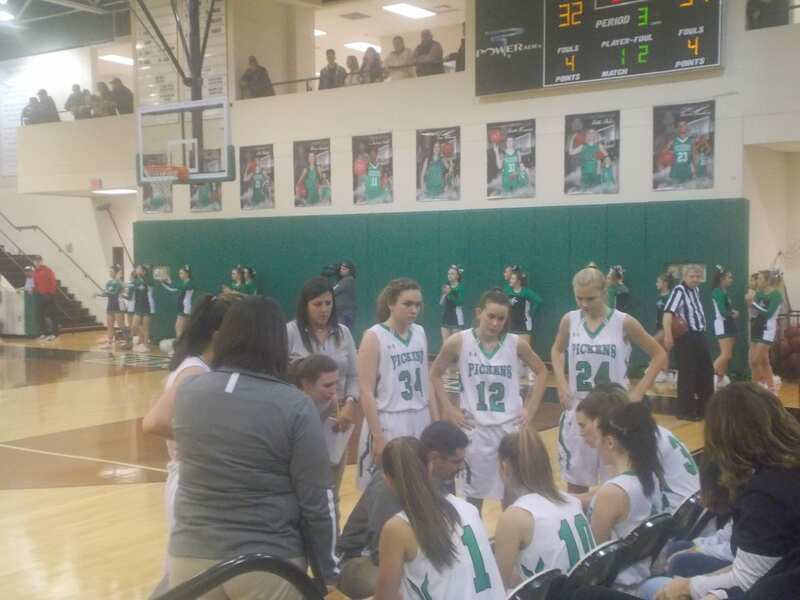 Gilmer, outscored the Nettes’ 15-14 in the 3rd, to take a 41-39 lead into the 4th and final quarter. Coming down to the wire in the 4th, the Nettes’ & the Lady Cats were tied at 58. Gilmer, would make 1 of 2 free throws to take a 59-58 lead. With 1.8 seconds left, the Nettes’ got a good look off of the in-bounds play, but the shot would not fall & the Lady Cats came away with the 59-58 win. The Nettes’, will look to bounce back from this tough loss as they host the defending region champion Northwest Whitfield Lady Bruins on Friday. Tip off scheduled for 7 pm.